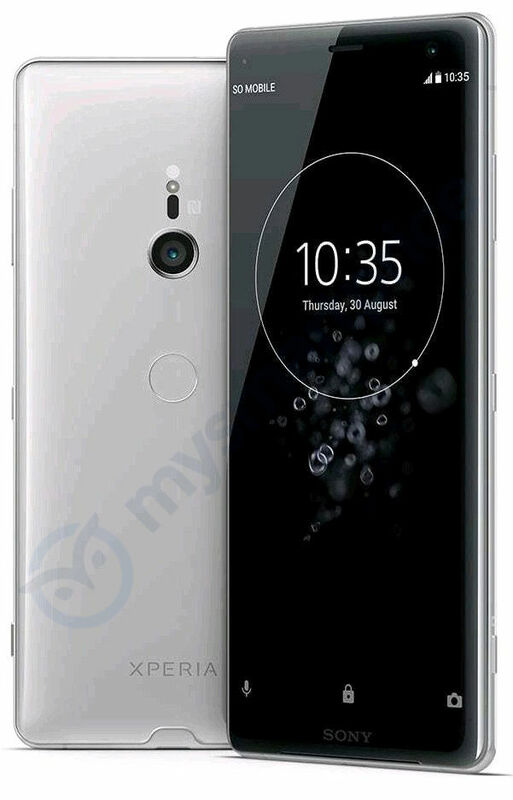 MySmartPrice has exclusive access to leaked image of Sony Xperia XZ3,, the eagerly awaited flagship smartphone from Sony with premium features. Surprisingly, it lacks two trendy features: notched or bezel-less screen and a rear dual-camera setup. 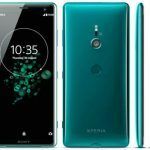 New Sony Xperia XZ3, a premium Android smartphone has been in the news for quite some time. Several important aspects of the mobile phone have regularly appeared online. 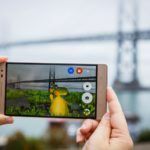 However, Sony had managed to hold onto the visual aspects of the XZ3, until now. MySmartPrice has exclusive access to the leaked image of the upcoming flagship-class Android smartphone. Notably, we recently leaked the images of LG’s upcoming V40 ThinQ smartphone too. The leaked image of the alleged Sony Xperia smartphone has surfaced. The complete image shows the front and back side of the smartphone in all its majestic glory. 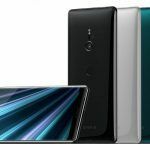 The seemingly tall display and the premium finish lends credibility to the rumor that the image belongs to the upcoming Sony Xperia XZ3 smartphone. The singular image confirms that Sony will not deploy the increasingly common notched-display. However, that doesn’t mean the premium smartphone visible in the photo has thick bezels. On the contrary, except for small bezel on the top and small chin on the bottom, the Sony Xperia smartphone appears to have a full-screen display packing a high-resolution screen. There are several rumours and alleged specifications of the Sony Xperia XZ3 smartphone. Early reports about the smartphone mentioned a single, but very powerful 48MP camera on the device. But a recently leaked specification sheet, allegedly of the XZ3, claimed the smartphone will have dual-rear camera setup. 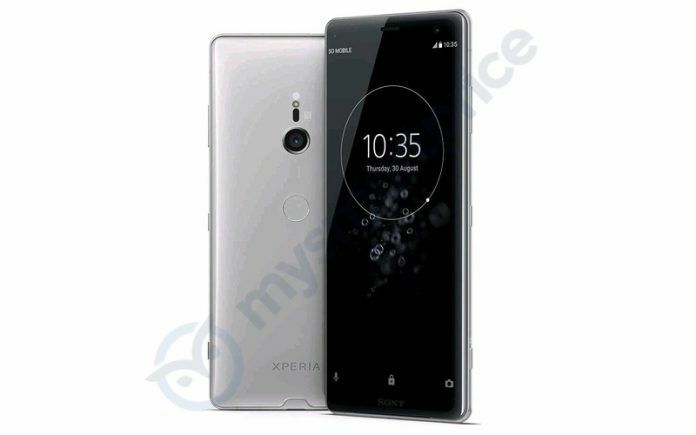 Some other rumours had indicated a 19MP single rear-facing camera, just like the Sony Xperia XZ2 and the Xperia XZ2 Compact. The image we received indicates the presence of a large rear camera. However, sandwiched between the dual-tone LED flash and the camera, there appears to be a tall oval sensor. The smaller sensor could be part of Sony’s Hybrid focusing technology that combines phase-detection and laser-detection autofocus. Whatever the case, the Sony Xperia smartphone has a dedicated shutter button on the lower right. This clearly indicates Sony has designed the Xperia smartphone for people who want quality imaging hardware, and don’t want the virtual shutter button commonly found on almost all smartphones. Below the volume rocker and the above the camera shutter button, is the power button. Interestingly, Sony hasn’t placed the fingerprint scanner inside the power button like the Xperia Z5. Besides a rear-mounted fingerprint scanner, the image also confirms the presence of NFC (Near Field Communication). A faint NFC logo is present alongside the sensor. It is interesting that Sony still believes in an exposed fingerprint scanner, and has not explored the in-display scanner that certainly looks premium and is not commonly found on premium smartphones today. The Sony Xperia XZ3 appears to have a beautiful metal unibody design without any visible antenna lines. Moreover, the graphics displayed on the screen indicate the smartphone may have provision for a single SIM card. However, previous leaks have claimed the Sony Xperia smartphone will have 4G+4G dual SIM capability, along with the provision to insert a micro-SD card of up to 400GB capacity. Previous reports have also confirmed many other specifications of the Sony Xperia XZ3. A battery with 3240mAh capacity, a 3.5 headphone jack, a 5.7-inch Full HD+ display, etc., are some of the specifications which are solid news. However, the most important aspect that makes the Sony Xperia a flagship-class smartphone is the presence of the Qualcomm Snapdragon 845 chipset paired with Adreno 630 GPU. The smartphone may also pack 6GB of RAM and 128GB of internal storage. 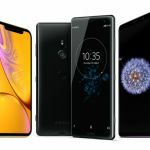 Connectivity options on the Sony Xperia XZ3 could be identical to its predecessor, the Xperia XZ2. It is safe to assume that the smartphone will run Android 8.1 Oreo out of the box, and may soon receive the Android 9 Pie OTA update. Sony hasn’t officially acknowledged or launched the Xperia XZ3 smartphone. Hence, the specifications and features could change before the company presumably launches the smartphone at the upcoming IFA 2018 that will be held at Berlin in Germany starting August 31. Since it is an unannounced device, there’s no confirmed information about the pricing or availability either. However, we at MySmartPrice will certainly update our readers with any new information about the upcoming flagship Sony Xperia smartphone.